Ford recently launched the Aspire facelift in the Indian market. 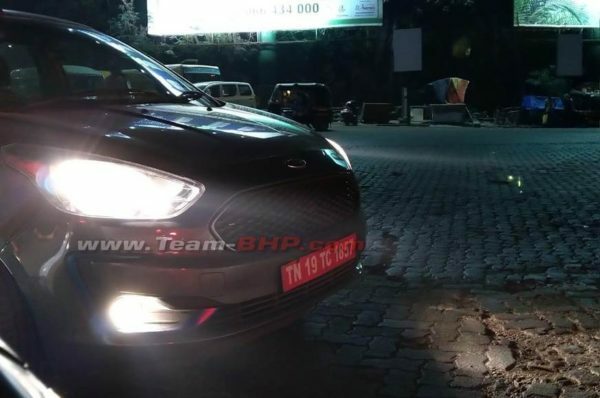 With that launch out of the way, Ford is all set to give us the Figo facelift, bringing refreshment to this hatchback. Some spy shots of this facelift model have been seen which showcase certain details of the car. The car gets new front and rear bumpers with the new honeycomb grille which is also seen in the new Aspire. The multi-spoke alloy wheels look new and very neat. The current generation Figo has been on sale since quite some time and has not been updated for quite some time. This facelift is expected to be launched early in 2019. The interior can be expected to be the same as the new Aspire sedan. Expect the same treatment in the new Figo hatchback. The Android Auto and Apple CarPlay compliant floating type infotainment screen will also make its way in this hatchback. Other convenience features like automatic climate control, steering mounted controls and a rear wash and wipe. Safety features like ABS with EBD, dual airbags, hill assist, brake assist and rear parking sensors will also make its way in the new hatchback. The car will also get a high-speed alert chime and a seatbelt reminder as well. Also Read: Ford’s Midnight Surprise Is Back! Book A Ford And Win From Gifts Worth INR 11 Crore! Powering the new hatchback would be three engines from Ford. The 1.2-litre dragon series petrol is good for 96 bhp and 120 Nm and the 1.5-litre petrol makes 123 hp and 150 Nm of torque. The oil burner on offer is a 1.5-litre diesel and delivers 100 bhp and 215 Nm of twist force. 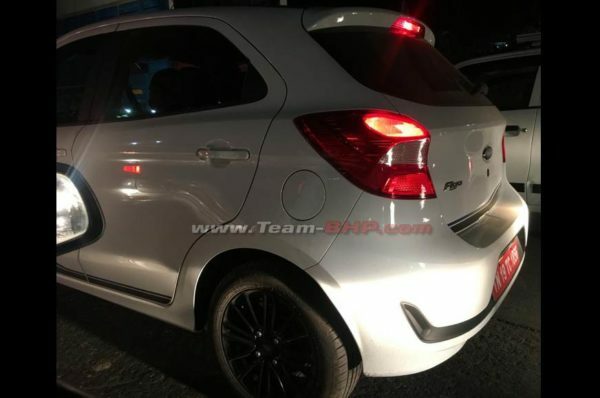 The car in the spy shot also gets a ‘Blu’ badge indicating that there might also be a CNG variant on offer. All engines will come mated with a 5-speed manual transmission. For customers looking for an automatic transmission, the 1.5-litre petrol engine will get a 6-speed automatic gearbox.